First, we’re grateful to the City of and County of Denver for hosting this event for the first time in our 15-year history. It’s a fitting place, not just because of the (storied) 300 sunny days a year, but because the city has a long history of supporting renewable energy and energy efficiency programs. For example, most solar projects can get a permit in one day here. At 5,280 feet above sea level, Denver excellently positions the competition one mile closer to the sun. By their side, and only a few miles away from the competition site, is Denver International Airport (DEN). DEN is the sixth busiest airport in the U.S. Also on their to-do list? 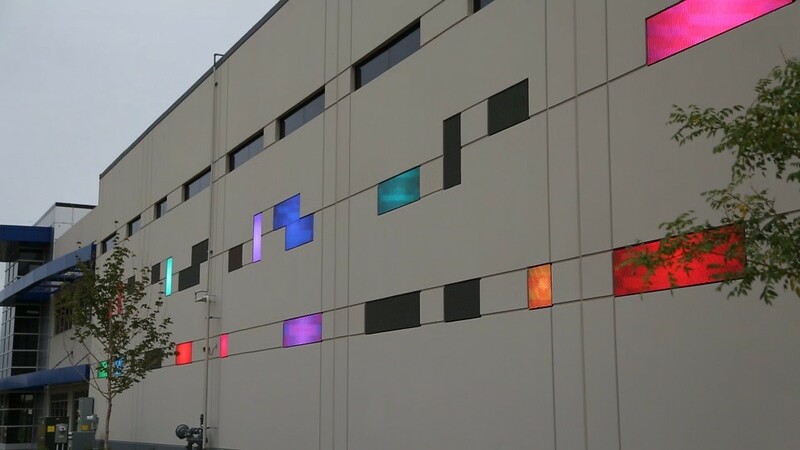 A strong commitment to the environment, including lighting retrofits, efficiency upgrades, and PV installations. 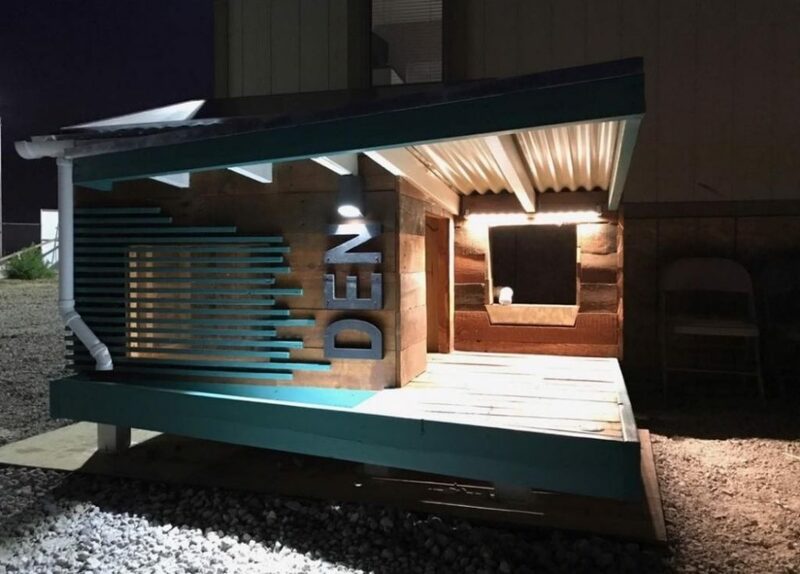 To create additional excitement for Solar Decathlon 2017, DEN is hosting a Sustainable BARKitecture Dog House competition, which challenges local architecture firms to design a solar dog house customized to one of the airport’s own Canine Airport Therapy Squad (CATS) dogs. Our thanks also go to the State of Colorado, Governor John Hickenlooper, Mayor Michael Hancock, and the Colorado Energy Office for their continued support in bringing Solar Decathlon 2017 to Colorado. Other local and regional supporters, including the Colorado Solar Energy Industries Association (COSEIA), Councilwoman Stacie Gilmore’s Office, Children’s Museum of Denver, Colorado Renewable Energy Society (CRES), Modern in Denver (see their amazing “Game of Homes” feature here), Boulder Valley School District, Big Brothers, Big Sisters of Colorado, and Visit Denver have embraced this event from the start. We are honored to have Wells Fargo once again supporting Solar Decathlon. The financial services company has a long history with the competition since first signing on as a sponsor in 2011. Wells Fargo has an impressive corporate sustainability commitment, including donations of more than $68.6 million over the past five years to organizations like ours that support clean technology, environmental education, and community resiliency. In addition, the company is purchasing renewable energy to power 100% of its operations, reducing greenhouse gas emissions by 45%, and increasing energy efficiency by 40%. An added bonus? The company truly understands the value of a decathlete, as evidenced by bringing on past participants such as Jon Previtali from the University of Colorado 2005 team to hold the prominent position of vice-president of environmental finance. L.C. Fulenwider is the master developer of Peña Station NEXT where the 2017 competition is taking place. This future-forward neighborhood, which is owned by the City and County of Denver and DEN, embraces smart technology, clean energy, and mobility. The Regional Transportation District (RTD) provides a backbone for the Peña Station location on the University of Colorado A line commuter rail connecting DEN to downtown Union Station. It’s super easy to get here without a car. Almost as easy as charging your electric car in the RTD garage for $2 a day. Our neighbor to the north is contributing sponsor Panasonic Enterprise Solutions, whose LED building skin mesmerizes as it marks the spot for Solar Decathlon 2017. The building itself is home to CityNow, Panasonic’s smart-city arm, which anchors the Peña Station NEXT development. In a stunning surprise, CityNow VP George Karayannis offered each team a free vertical-axis wind turbine during the all-team breakfast kicking off assembly. Because there’s no such thing as a Solar Decathlon house that’s too sustainable. Our host utility sponsor, Xcel Energy, provides much of the Solar Decathlon’s infrastructure, furnishings, and temporary electrical service interconnection. Xcel is working with Panasonic and DEN to pilot a microgrid battery project at the event site. Speaking of microgirds, we couldn’t do it without our longtime sponsor Schneider Electric. 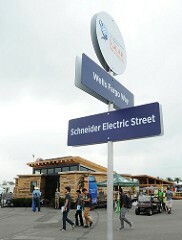 Since 2009, Schneider has designed the electrical connection between the Solar Decathlon village and the utility service to enable a safe and reliable microgrid solution. This marks their ninth event, including four international competitions. And that’s not all. We’ve got multiple resource partners who provide essential elements, like Beko’s donation of appliances to seven of the 11 competing teams. Our association partners include generous donations from organizations like ASHRAE (remember that breakfast mentioned earlier—they made that happen) and OxBlue (they are providing our eyes in the sky with live video feeds from the event site). With the added support of our affiliate sponsors and friends and stakeholders (like early-morning decathlete favorite Peet’s Coffee), we are able to pull off this incredible event. May the sun shine on us all October 5-15! Considering that the teams had eight days of rain during the nine-day assembly period, our outlook for a sunny event in Denver is bright if the weather rumors are true. This entry was posted on Tuesday, October 3rd, 2017 at 12:26 pm and is filed under Competition, Solar Decathlon, Solar Decathlon 2017, Sponsors.